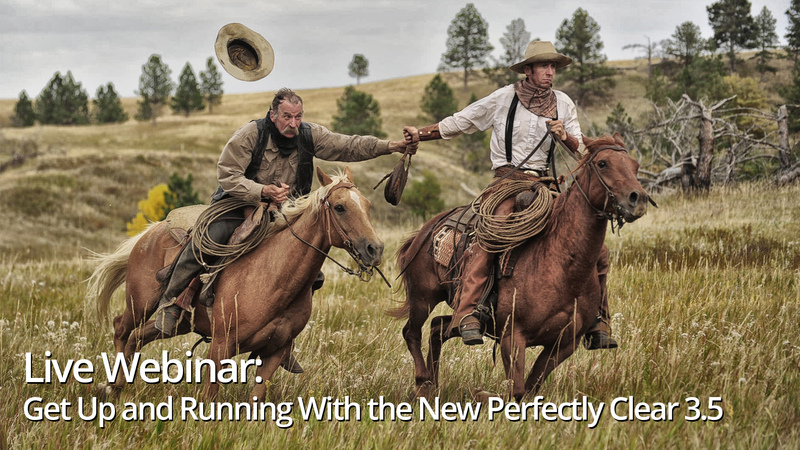 Join Levi Sim and Vanelli Live for a free Webinar on Tuesday, December 12, 2017, as they explore “How to Get up and Running with the New Perfectly Clear 3.5”. Athentech unveiled Perfectly Clear 3.5. with lots of great new features. It’s also a FREE update to existing Perfectly Clear version 3 owners. If you don’t own the application/plug-in (or own an older version) we’ve got a time-limited special offer here. Perfectly Clear version 3.5 has removed the need for using a host application. Perfectly Clear now works as a stand-alone application. If you don’t want to change your workflow, your also get a license plug-ins for Photoshop, Lightroom Classic, Photoshop Elements, PaintShop Pro, and an external editor for Photos for Mac, Aperture, and Capture One. It’s your workflow, made better, faster and easier than ever before! Not only will you learn terrific techniques, but if you tune in live, you can be entered to win excellent prizes to help you in your work. (Note: MUST BE TUNED IN LIVE TO WIN). We’ll be giving away a copy of Perfectly Clear from Athentech. We kick off Tuesday, December 12th, 2017 at 1:00 pm Eastern, 12:00 pm Central, 11:00 am Mountain, and 10:00 am Pacific. And why not check out this previous episode with Roberto Valenzuela while you’re waiting?